We’re pleased to announce a new helpful feature for those using Timers to record time against Projects and Tasks. 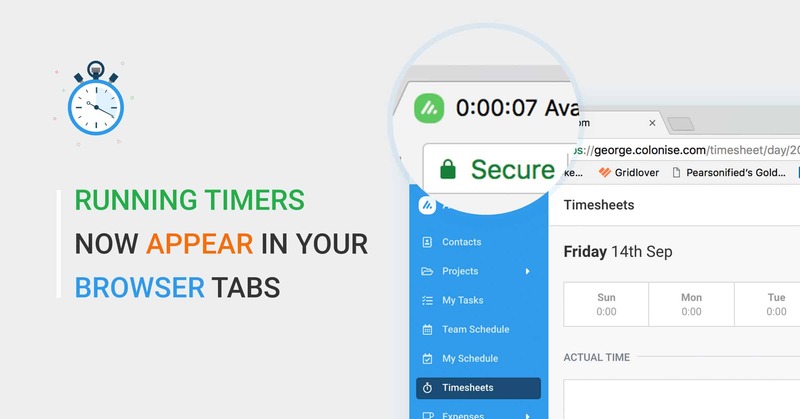 Now when you have a running timer, the Avaza browser tab will display a different color icon, as well as the live updating timer duration. It’s designed as a helpful reminder of your timer while you work in other products/tabs.